No more burnt coffee! 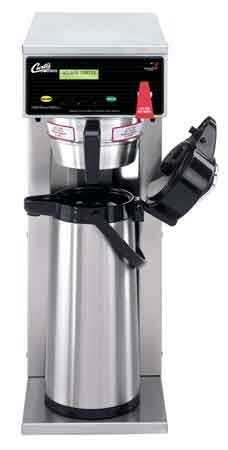 The Curtis D500GT DV Single Airpot Commercial Coffee Brewer brews prevents scorch and waste. Brewing into the thermal airpot keeps the coffee at an ideal temperature without having to use an additional heat source that can change the coffee flavor profile for the worse. This highly programmable unit also provides flexibility for whole and half batches. Energy saver: Automatically reduces energy consumption when brewer is idle.